Beach day & MILK Shop! After a long, hot day at the beach my friends and I wanted something sweet & cold. We decided to try MILK on Beverly Blvd. in Los Angeles. 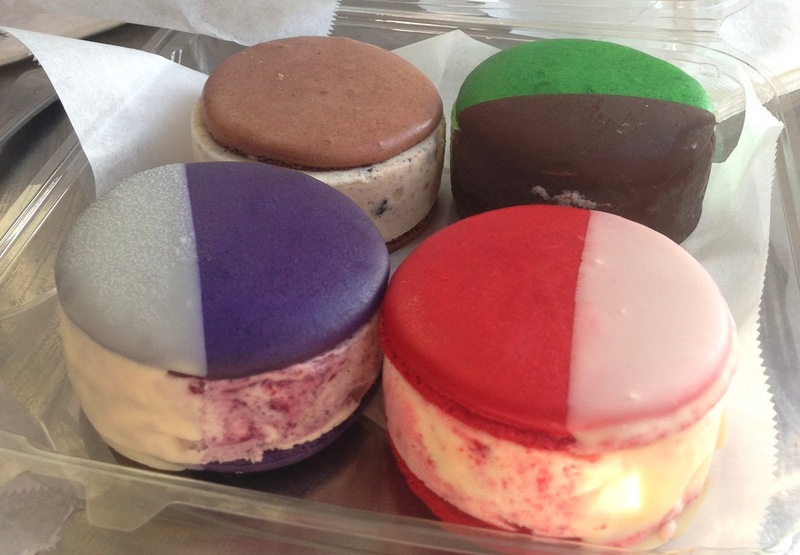 They have ice cream sandwiches, freshly baked cookies, and make your own cookie ice cream sandwiches! They also have regular food, but the reason the line is out the door is because of the bake shop. My friends and I went all out as you can see from the pictures below… the best was just the traditional chocolate chip cookie ice cream sandwich. MY FAVORITE! Chocolate chip cookie with vanilla ice cream in the middle. The cookie itself was delicious. It tasted freshly baked. It’s traditional and classic and you can’t go wrong. These were so fun to try! I loved all the different flavor assortments. They were all so yummy! I did like the cookie ice cream sandwich better because their cookies are so good. THE AFTERMATH! MAJOR DAMAGE…LOLMy friends go back all the time and swear on the red velvet ice cream from MILK. I haven’t tried it yet but next time I go back I will! My recommendation is to definitely get one of their fresh baked cookies with your choice of ice cream in the middle…enjoy!